The “Canadian Revolution,” the Early American Republic, and … Slavery? November 7, 2015 November 6, 2015 No Comments on The “Canadian Revolution,” the Early American Republic, and … Slavery? As part of our partnership with the new early Canadian history blog Borealia, we’ll be posting highlights from that website here every Saturday in November. 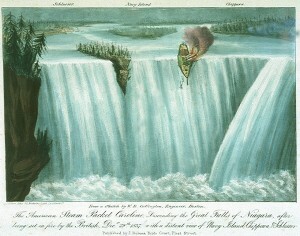 We all know the story of the Upper and Lower Canadian Rebellions: we know about the patriotes of Lower Canada and the reformers of Upper Canada; we know about the victories and defeats, expulsions and executions; we know about the social, political, and economic implications in Canada, and their consequences on our history. In general, in Canada, we view the Rebellions as an important Canadian event. However, the Rebellions were also an American event, with major consequences in the United States. In this post, I will briefly explain the research that I am currently conducting as a postdoctoral fellow at the McNeil Center for Early American Studies at the University of Pennsylvania and how my time in Philadelphia has changed the overall aim of my project.